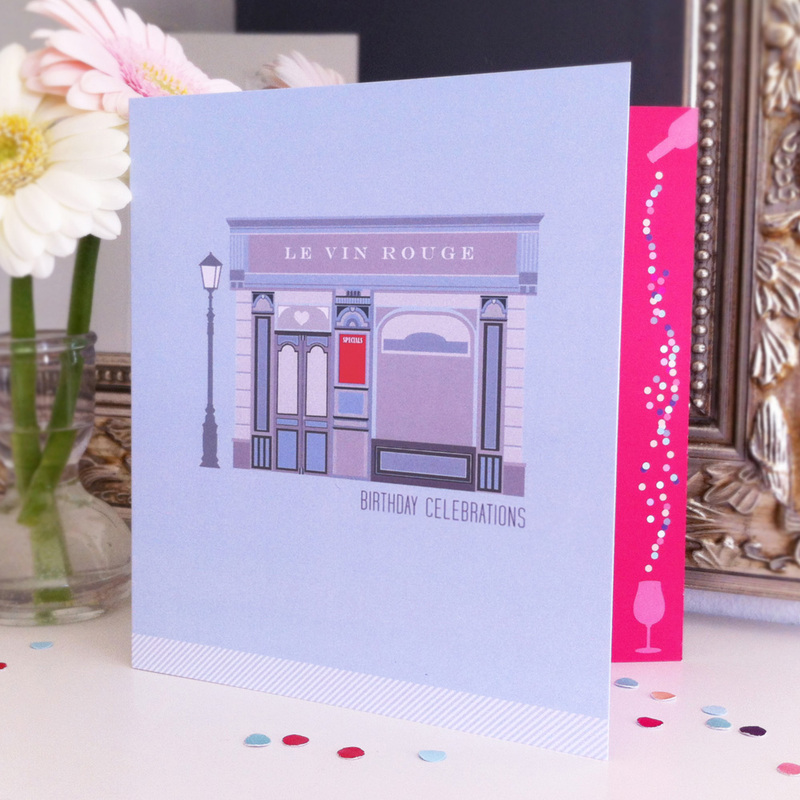 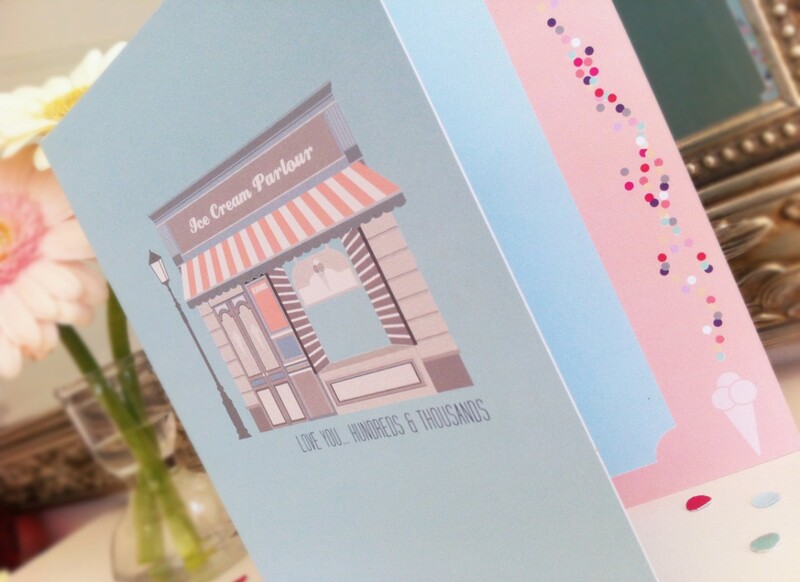 Part of the ‘Pop Shop’ collection, a set of cute yet contemporary illustrations of local shops to suit various occasions. 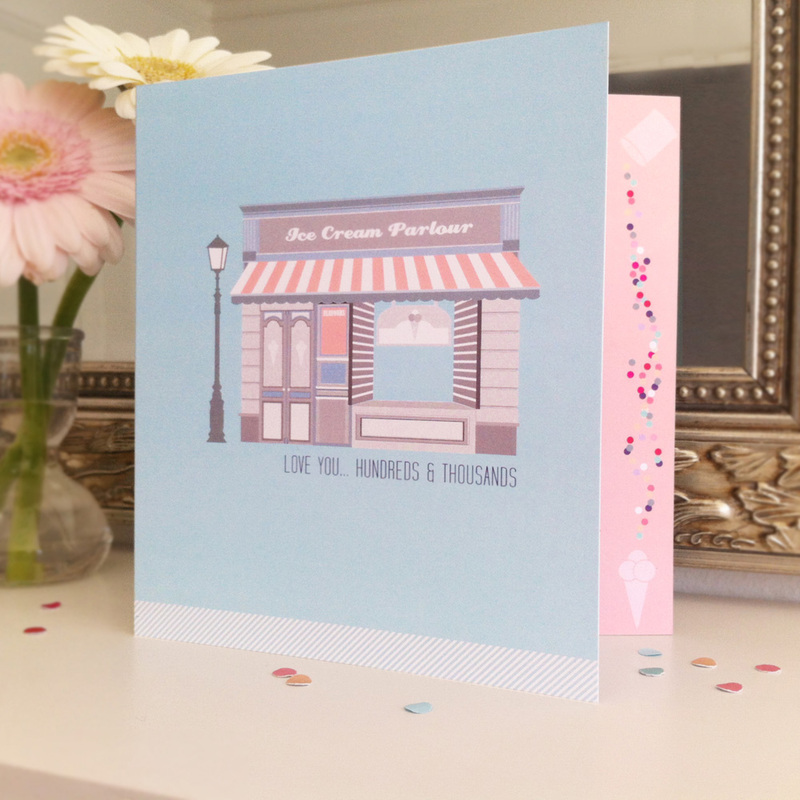 The front of every Pop Shop card is 20mm shorter than the reverse, revealing a themed ‘pop’ of coloured sprinklings down the side. 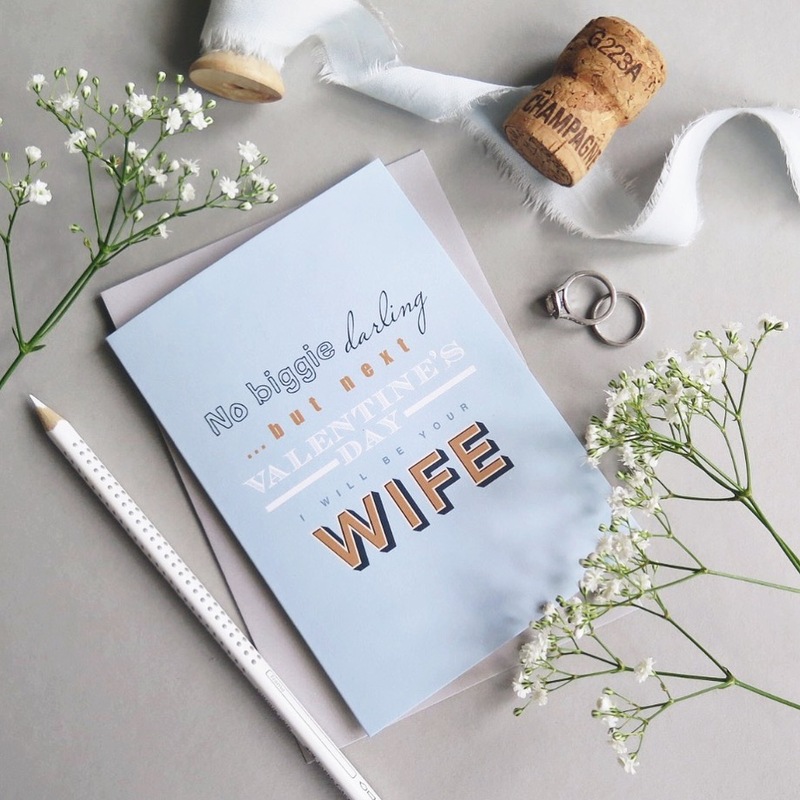 Each card is professionally printed on both the inside and out on a 300gsm cardstock and comes with a white envelope and protective cello bag. 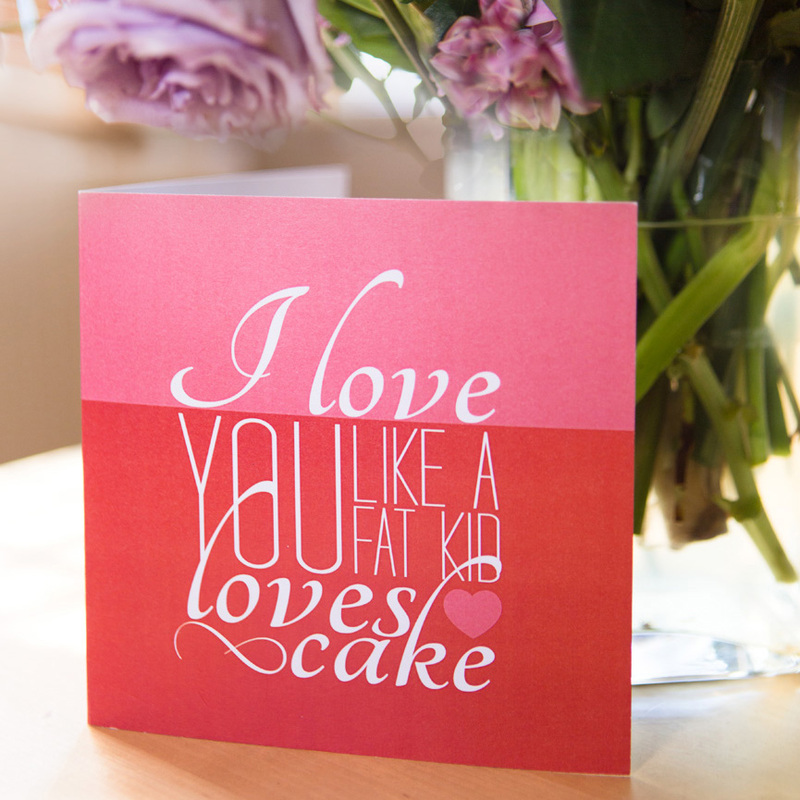 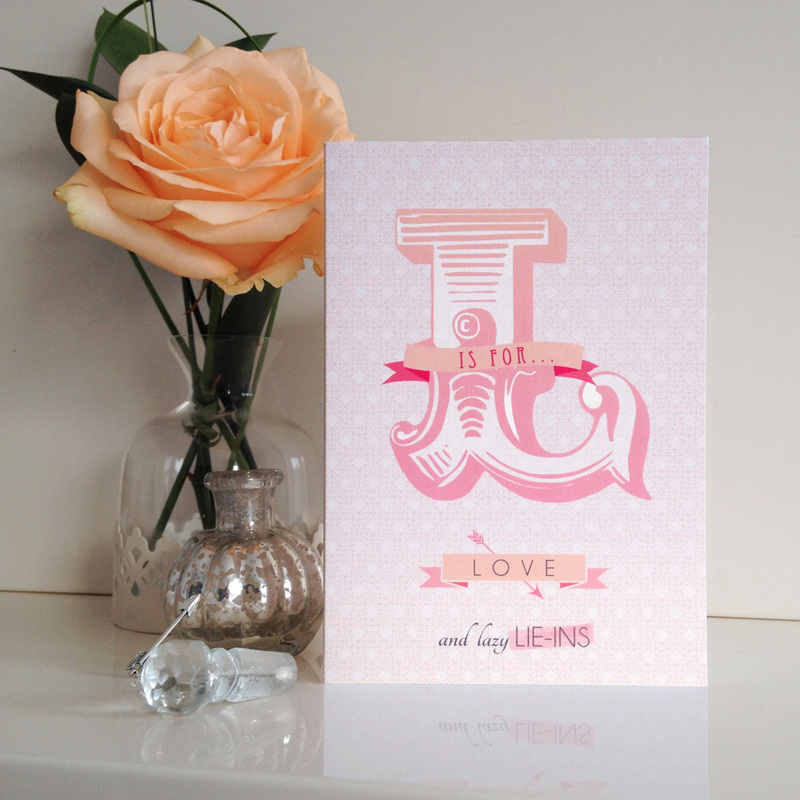 Card measures 150mm x 150mm. All cardstocks are from FSC approved sustainable forests.